This place is a collection of flavors, carefully selected and collected, that you can feel here or take it with you and share with someone. 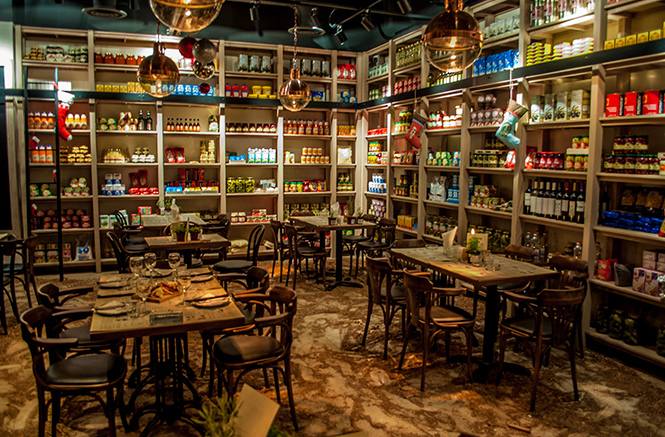 Our shelves are collections of products with quality and taste that represents the best of the Balkan cuisine. Inspiration is our journeys and friendships, memories and impressions from the coasts of six seas. We believe that food builds bonds. We believe in passion that has found its expression in food. Everything we offer is prepared with love. We are proud of every meal that we will serve you. Enjoy your meal!